Hang in there. Health issues are the worst. I’ll be thinking of you and hoping everything gets better. thanks. I need all the thoughts and prayers I can get! Are you still on Victory? I just started Monday up until today it was just nausea, but tonight i started throwing up. Does it get better? Not anymore. It wasnt worth it to me. A pharmacist told me that Victoza is supposed to make you feel nauseous, that is how you kiss the weight. You don’t feel like eating. Try Alka Seltza, it is the only thing that worked for me. This was like injecting poison for me. I vomited, had horrible contant reflux, the horrible taste in my mouth that you describe. The stomach pain is unbearable. I was in bed for three days straight until I stopped the injections. This is no stomach bug! For sure. It is rough. I never had the weight loss or great results promised. Onglyza is a better choice for blood sugar regulation. Thank you so mvh got the info , I’m on 4 nth , ad just can’t figure out why I have terrible sickness. I have had 5 terrible sickness . To the point of shld go tothe ER . Hang in. I have been on Victoza since September and I have lost 42 pounds. It has changed my life. I am so grateful this medication. I need so much less food to live and I don’t feel deprived in the least. The side effects do go away. Are you injecting at night? I find that helped a lot, in the beginning. Ideally, you really try to tune in to what your body feels. You do have to give up most of your previous eating habits, and only eat what feels right, and then only eat small amounts. If you were or are very overweight, your sense of what is the right amount has become skewed, and now you are going way in the other direction. But try to think of it as a gain, not a loss: how wonderful that an apple is so fulfilling! Thanks for the comment. Did you have vomiting? My doctor recommended I stop the shots for the time being. I couldn’t keep any food down and he thinks there may be other problems. I know it is good to eat less but a girl can only live so long with no food being held down. I’ve lost 60 lbs on my own so may just keep up with diet and exercise. We will see. I’m glad you’ve had success. That’s encouraging. Please keep looking at my blog as I will be interested in your continued feedback. I cut my dose in half and then gradually increased it. I never got to the full dose but it did help. Took for two years and I had to quit for surgery. I could never get back on it afterwards. I got violently I’ll with stomach issues and violently throwing up. I did in the very beginning. I wonder if the smallest dose, at bedtime, is where you should stay for a while until you habituate. The reason to take Victoza is not purely for weight loss, per se. The way your blod sugar is regulated really does make a difference if you give it a chance. And Victoza targets visceral fat and minimizes muscle loss, because it makes your hypothalamus reprogram your metabolism. You can’t do this without liraglutide. Really, I cannot say enough for this medication. Worth toughing it out. Not evil! Thanks again for the feedback. I plan on trying again once my doctor gives me the go ahead. He thinks I may have an infection on top of the side effects making things more difficult (nothing can be simple for me!). We did some tests and should know soon. the only reason I said it was evil is I was so sick that day. I don’t know when I’ve felt worse. I may have a H pylori infection which is kind of like an ulcer. This makes everything more complicated but is treatable with antibiotics. My crazy health! It’s true, you may simply have a bug. It took me three to four weeks to adjust completely, and at times I can still have a nausea moment, usually when I have either gone too long without eating or have eaten a little too much. I do know, from a long chat with the NovoNordisk drug rep who happened to be in my doctor’s office, that it is reasonable to stay on the lowest dose as long as one is reacting to it (both in the side effect sense and also in the low appetitie sense), and that some people never move past the 1.2 dose. If you get full benefit from the .06 dose, stay there. That gives you the margin to move up when you start to resist the effects of the drug. Ditto the 1.2 dosage — move up to 1.8 only when you need to. Yeah I can’t imagine doing a higher dose for a while! We will see. Really thanks for your perspective. One last question- if you are only eating an apple how do you have the energy to work out? Do you feel like it is something you can keep up forever, eating so little? I eat more than an apple — and I try to get enough protein every day. But my point is if an apple is filling, then stop eating at that time. Know your limits, really pay attention how you feel. I have often thrown out the second half of a banana instead of finishing it mindlessly, for example. One nutritious food easy to tolerate is a softboiled egg with a piece of multigrain toast. I do feel I can keep eating this way indefinitely. I feel good. that makes sense. Good job! Will let you know how the second trial of victoza goes. I will probably start again next week. My 1st question is did you start with the smallest dose? If not, try that then work up. I am up to full dose and I love it. I still get a little sickly feeling, but if I eat some crackers I am fine. My sugars went from being in the mid 200’s to the mid 100’s. I have lost 20 in 2 months. I LOVE this drug. I hope you do well on the next go around. Maybe even talking it every other day until your body adjusts. However, I do know that there are a small amount of ppl that cannot take it. I pray that you feel better and back to yourself soon. Thanks so much for your comment and insight. I was on the smallest dose. That’s an intriguing idea of taking it every other day at first. I will discuss that with my doctor. My blood sugars were only in the 200’s if I deviated from the low glycemic diet. The problem was even when my sugars were low I didn’t feel well- I was feeling hypoglycemic at normal rates. The doctor thought the victoza would help with that. I must say the experiences I’ve read online are all positive for victoza so I’m hopeful I will adjust. Thank you for your prayers. I need all the help I can get. What a road! How has the road to weight loss and diabetes diagnosis been for you? Just curious. You can just email if you don’t want to post it for all to see. My diabetes were pretty well controlled until I developed Fibromyalgia. Since then, its been difficult. I only started to lose weight with the Victoza but it has motivated me to eat even less and keep my BS normal. The 1st two weeks I felt awful. I was so tired. My Dr, nurse, and Rph said that when you have high BS for so long and thengo to normal, your body goes thru an adjusting period. I am back to myself. I really hope that this works for you. Keep me updated! same with you. The fibromyalgia would be rough. Is it related to the diabetes? I feel for you. I just started this med on Weds and was fine. Ate almost normally. Yesterday, though, I took the smallest dose in the a.m., and by mid-late afternoon was feeling awful. Didn’t eat much all day, which was good (I think eventually I would adjust and eat better, but for now, since I have at least 50 lbs to lose, I’m loving that it has taken my appetite away, at least from what I’ve seen in only two days). I was up all night, off and on, with terrible heartburn, then this morning I threw up over and over again. Only now, a few hours later, am I slowly starting to feel human again. So I’m worried. I really want to take this drug, both for my sugar levels, and to lose weight. But I can’t live through weeks or more of this nausea, weakness, and especially the vomiting. I’m going to try taking it at night and see if that helps. And Saltines! Hope you can get back on it and work through the time it takes your body to adjust – and I hope the same for me! Good luck to us both! I feel your pain. Truly. I had to stop because the doctor thought I had a virus in addition to the side effects. I am now on day 3 of starting again and it has gone better. I know what you mean though I am having the same battle of wills that you are having. The weight loss and blood sugar regulation are great but at what cost? Do I pick a solution that it will go faster but make me feel horrible or do I pick at it slowly with diet and exercise. Tough call. Keep me posted on your progress. I think going at it slowly and trying to diet and exercise is the best way to go, especially since going at a low dose will hopefully make it less likely that we’ll feel so crummy! I’m going out of town for a week and contemplating just not taking it during that time, then trying again. Don’t want to ruin my vacation! But will check back with you later this month and see how we’re doing! I know I am wondering about vacation. Since it has to be refrigerated I am wondering how you can take it on a plane? Anyone know? I just started Victoza 2 days ago. I feel nauseous all the time. I can barely eat a half cup of food at once. I’m drinking things like normal. The appetite is just completely gone! I also suffer from Fibromyalga. So far nausea is my only side effect. I pray it continues to stay that way. I have a long ways to go to get back to a healthy me again. Prayers please! Do the injections at bedtime!!! That’s some advice I’ve heard on several websites, so I’m going to try that when I re-start. Thanks! Once it’s opened, it doesn’t need to be refrigerated. I didn’t realize that. thanks. I was told by my Endocrinologist that Victoza needed to be refrigerated even after opening it.I bought a bag on amazon called insul pack.You put an ice pack inside, it shows you the temp, and it is easy to use for traveling. I understand… I have been on Victoza, full dose since November. I get sick every other day and the eggy burps make me wanna stop. But my A1C and levels are great. I am really going to use it to its full potential and try to limit my carbs a lot this summer to add to my weight loss. I also take metformin 500 3x a day. Hang in there. Glad to have found you. Thanks. That sounds tough. I am not as strong as you to put up with such things. I tried the victoza twice and just couldn’t eat I was so nauseous all the time. I almost went to the hospital it was so bad. After a long chat with my doctor he put me on onglyza and took me off of metformin and victoza. Its been great. No bad side effects and only one pill a day. My blood sugars have been good but I’ve had to be more of a stickler on the diet because it doesn’t lower appetite like victoza. Still, I think it is the right choice for me. Good luck! Keep in touch. i’ve been on Victoza for 11 days now & I haven’t had any real side effects to speak of & while it does suppress my hunger considerably I haven’t had any weight loss to speak of. Maybe it’s not doing much for me? I would take notes of how you feel, when you take the shots and be specific. The doctor thinks I’m crazy but I found when I was taking metformin and victoza I had the strong reactions. When I went to just victoza I was fine. I found with each increase in dosage I lost some weight but not as much as some people (my body hangs on to the pounds like nothing else!). My sugars have become regulated and my A1C has gone down, so that’s what is important . I have been very strict on the diet and exercise a lot regularly. I would give it a few months and like I said take good notes. If victoza is working for you Onglyza is another choice but it is more expensive. Good luck and keep me posted. I am too but since I began to take Victoza 3 days ago and my stomache feels like fire inside, do not know what to do. Any advice for me? Make sure you eat early so you have as little food in your stomach as possible when you take the shot. I found I couldn’t tolerate both metoformin and victoza. I had to go with one or the other. Take careful notes of how you feel, when you take the medicine, what symptoms you have ect. Good luck! i know that victoza says to do .6 dose for a week, then 1.2, then finally 1.8. you don’t have to jump up like that. i started at .6 for a week-it made me feel a little sick in the mornings and did seem to keep me full, but when i upped to 1.2 it made me feel sick again.i backed down to .6 but then once ifelt ok there, upped it just a couple clicks every couple days. it took me over a month to get up to the full dose. during that time i lost around 7 pounds. since then i’ve kind of stabilized..my bs are lower, but i gained the weight back..thinking it’s not working for me. one of my friend’s daughters though lost 100 pounds in her first year on it. i think it’s just one of those things that works for some or not others. thanks for your comment and for sharing your experiences. I actually tried victoza again in July and had a better response. For some reason I did much better when I was not taking metformin and victoza together. Its like my body can only handle so much. The victoza has definitely helped me with my sugars; however, I have not lost weight. My body sure has a hard time giving up its extra fat! I just keep plugging away and doing the best I can. l too had the almost same reactions to horrible victoza.My doc loved the results ,a1c went to 6.4.Quickly lost 30 lbs.Could not get past 1.2 mg tried 3 times to get to 1.8. Not possible.Never wanted to eat Stopped enjoying food.Think about it,nothing tasted good,litterally had to force myself to eat anything! Then there is the stomiach (episodes ) happens at illeast 2-4 timed a day(still does!) feels like my stomach is literally disappearing,I can only lean over and hold my stomach unable to do anything for about 3_10 seconds feel exhausted for a couple minutes afterward.This NEVER happened before evil victoza.I stpped victoza 8 months ago,last april.When will side effects stop.I loved food,loved too eat,don’t now Still unable to eat more than a little at a time.On janumet now,spend a Lot of time on toliet now.Is there any diabectic drug I can tolerate ? Tired of it all. Try onglyza. I responded much better to it. Also, are you taking metformin and victoza? I found I responded much better to both when I was only taking one or the other, the combination of the 2 was bad. It’s important to listen to your body more than listen to your doctor. They give what works for 90% and I’ve found often I don’t fit into that group. Take very careful notes of everything you eat and any symptoms you have. It is your best defense with the doctor. Most of the time they give victoza because they want things to happen faster but just tell your doctor (as I told mine) that you are in this for the long haul and will take the time needed to get a healthy A1C and weight. I have a five year plan. It took me 2 years to lose 50 lbs and I hope to be under 200 lbs in 2 more years. We will see. The pounds thing isn’t as much my focus as other goals like swimming in open water races. There are some months I’ve done everything right and still gained weight so be patient with your body. You can only do so much and then you just have to let your body respond. Forcing it to take some medicine that it obviously doesn’t want is crazy. Drop the dose to 1.2 dont believe the hype that you must use 1.8. Then follow a healthy meal plan ng get in the gym. Been on it for six months a1c from 12.0 to 6.4 over six month peiod and i eat fine no nausea untill i try to up dose to 1.8. 1.2 works try it. i am 57 years old and have been a bad girl the last 3 monhs. my a1c went from 6.7 t0 8.1.
not even when i was diagnosed with diabetes did i have an a1c so elevated… i went to the m.d. and asked him for a diet pill which of course he said no. but he told me to try the victoza. after buying it and reading all the horrible side effects , i felt like he was going to punish me for my “back sliding”. i have decided to watch my diet because during my visit; he told me THINK ABOUT EVERYTHING THAT YOU EAT, WILL IT ELEVATE YOUR GLUCOSE TO AN OUT OF CONTROL LEVEL???? THEN STOP, DON’T EAT IT!! !, SO, like i said earlier, i bought it , placed it in the fridge and everytime i open the door – i am looking at it……since my visit, i have cut down on carbs and am counting calories. I know my m.d. wants to do the best for me BUT – he has knocked some sense into me. i am just starting my new way of eating – only on day 3.
but i have a lot to live for and i don’t want to be miserable due to my own non- compliance..
my morning glucose has gone from 155 to 104 in 3 days because i DO NOT WANT TO TAKE THE VICTOZA, it’s sounds toooo scary!!! Good luck to all and God bless those of you strong enough to use this med. Good luck to you. Write down all of your symptoms, when you take it and everything else. I eventually did adjust but it took a while. I could not take victoza and metformin at the same time so ask your doctor about that if you are. I still take the onglyza but stopped taking the metformin and the victoza. It was too terrible the side effects. I was able to get my sugars under control in other ways. I started victoza two days ago. Felt nothing the first1 day and adjusted to 1 on the dial the second day. Taking meds in am i was semi fine all day until around 7pm nausea,belching, vomiting started. This was the last day i am taking this. I will rather starve myself but be happy. I was extremely emotional and my mental health took a nose dive, on Victoza. When I went off of it, my skin crawled. I had migraines and I only threw up once. I hate Victoza and I hate Metformin. I had bloody diarrhea on Metfotmin. I am a mess on both drugs. I’ve had head, neck and back injuries so meds that mess with my mind or Gatrointestinal Track are he’ll on earth for me. I don’t call it healthy. In my humble opinion. I made a fool of my self at church on this med. That’s embarrassing. Another person who’s had head injuries has said he hates it, when he takes a med that messes with his cognition or mind. Something for me, to factor in when taking a prescription. I just had to post this, on your website, just in case someone else has had these awful side effects from Victoza or Metformin. I agree. I refuse to go on either drug again especially metformin. I’d rather live with PCOS symptoms than take them again. Nothing aside from having a baby is worth puking your guts out every day! I was relieved to find out I am not the only one that has 24/7 nausea with this. I take Metformin as well. I am going to lower the dosage again and see if that helps. I have lost almost 20 pounds in a month due to the fact I can’t stand the smell of anything. 🙂 I’m going to discuss this with my dr as I will have been on it a month. I have fibromyalgia too so I totally get what you are saying. Victoza was awful. I felt like I was going to vomit all the time. It’s just not worth it. You have to be able to live. Let me know how you do and what you end up taking. I understand what you are saying. 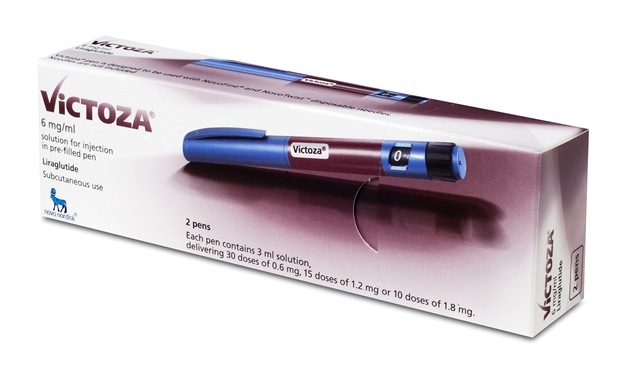 I was borderline diabetic and went on the victoza but I was so miserable I stopped after about 6 months. I took something else called onglyza for a while that I liked much better. I have now been clean with my blood sugar ratings for over a year. Exercise hasn’t helped me lose weight. In fact, nothing really has but I’m much healthier than I used to be. That’s the most important thing. I’m so glad I’m not alone! I started taking Victoza 3 days ago at bedtime. The first day I was fine but day 2 all hell broke loose! I didn’t really notice when I ate breakfast but I quickly got the evil side effects about an hour after breakfast. I thought there was a balloon in my stomach. Then I vomitted so explosively. It was awful. I immediately felt better bug quickly felt the ballon effect again and at that point had the sulphur burps, etc… No appetite. Then the explosive diarrhea started. It was awful as well. I vomitted again hours later and you would think there is a lion in my stomach with the noise my GI system is making. Needless to say, I didn’t take the 3rd dose and I woke up this am with the awful lion sounds in my belly, now hunger pains, and a headache. I am going to call the doctor in a bit when the office opens. I have read above that some people had less side effects if they dropped metformin which I tried to take when I was first diagnosed 2 years ago but it caused severe diarrhea then for me I stopped it. I’ve since been taking Amaryl (glimeperide) and NPH insulin and Januvia. I actually started having lows when I started the NPH so endocrinologist stopped the Amaryl and we tried Metformin at dinner with more food in my stomach and then I did fine. So maybe if I stop Metformin while trying the Victoza I may be okay. I also saw on other blogs that their doctor gave them something (script) temporary for the nausea. If it doesn’t change, I can’t do this for a month. I’ll end up in the ER dehydrated and I get migraines so that would be sure to follow. I’m just shocked that .6 is all I started with and it was this severe on such a low dose. I really think this is the key medicine to aid in dime weight loss to get the ball rolling for me so I pray I can find a happy medium somewhere with Victoza! Like Dawn I am newly diagnosed insulin resistant. I started metformin in Feb they just added the Victoza (1.8 mg) because the Bydureon was not doing anything. I started Monday and became nauseated 4 hours later and stayed that was all day. I did get sick on my way home from work but have not vomited since. I have been extremely nauseous and have no interest in food. It is Saturday and I am doing better and I was finally able to eat more than 200 calories in a day so my body seems to be adjusting to the med. I lost 10 lbs in 5 days so I am hoping to stay sick and get some more weight off. I just wanted to thank you all for posting, it really helped me to know what to expect and that it is worth trying to stick with it. Not sure what the long term results will be but I am hopeful. Thank you for keeping this discussion going. It really did help to read it. I have been on Victosa for almost a year. I am also on Metformin. I had horrible reactions to Metformin about 15 years ago and thought I would never take it again. But I was having major problems with insulin, I found a great endocrinologist. She put me on Extended Release Metformin which I was able to take. With the Metformin I was able to stop talking my short acting insulin. The plan was to use the Victosa to get off of the long acting insulin (Lantus). I have not been able to do that. But until today that hope keep me trying to increase the dosage past 1.2. Because I have so much trouble adjusting to meds, I started on Victosa with just a couple of clicks on the pen (there are 10 clicks to .6, and another 10 clicks to 1.2). I raised the dosage very slowly. sometimes just one or two clicks a month. Eventually I got up to 1.2 and was kind of OK with it. But over the last two months I have tried to go higher than 1.2 and I have had to drop back down to 1.2 within a few weeks of raising it each time. I have been feeling terrible lately and today I decided to skip my 1.2 dosage. Tomorrow I plan to drop back to .6 and stay there a few days. If I start feeling better I will keep it at .6 and see how I do. If I don’t feel good at .6 I will see what my endocrinologist recommends. Like you have said, it really isn’t worth feeling awful. I used to walk almost every day, but I have been feeling so bad that it is really hard to get out and walk. It does seem like walking is more important than Victosa. But I really do like it’s effects. I get very bad anxiety when my BG goes up or down quickly, the Victosa not only keeps it lower, it keeps it more level over time. At the moment I am thinking that .6 Victosa, getting back to walking every day, and a small dose of Lantus might be a reasonable long term plan. I started Victoza a week ago. I had some nausea to begin with vut think my aciphex prescription made all the difference in tolerating the initial nausea. Started on .6mg. After 5 days headaxhe gone too. Still feel hungry throughout the day though. I started Victoza last week. Felt fine at first but now have had diarrhea for several days and vomiting too. I was thinking maybe I had a nasty stomach bug but apparently not, must be the med. I lost 13 pounds since last week which is great. But it’s not great the way I feel. How long does it to adjust? I started Victoza at .6 with 2,000 mg Metformin extended release. First several days were great, and I noticed a major drop in appetite. I couldn’t force myself to eat another bite for anything. Then the intolerable stomach cramping came on. I ended up dropping Victoza. Then I lost my job. I decided to try dropping Metformin altogether. I suddenly lost my chronic migraines. I decided to give Victoza another chance. This time I started at one click, then added a click each night. I’m at 1.2 now, and I plan to stay here. I’ve had two days recently of feeling run down, but I’ve been able to rest with my new pt job. This second round was extremely more tolerable without Metformin. I’ve lost around 7 lbs. listen to your body, and try adjusting what you take slowly. Started on .6 mg four days ago. Pretty serious nausea and headache. I have IBS anyway, bit have noticed (umm how to say this) loose bowel movements of a different nature (onset, etc). So, I suppose Ive had that side effect too. At this point, I’m concerned for several reasons. Even if the side effects subside, I’m concerned about the reported law suits over this and other medications like it. If it works for me, and lowers my numbers and my weight I will still be concerned about long term use. Also, this medication is very expensive in the highest tier of my plan. I am working diligently on changing my diet (and being consistent which is my problem) and getting back to the active lifestyle I had before a car accident 12 years ago. I take metformin er and insulin as well now so I have a lot to manage and pay for. But, Im worried about needing this medication for long term. Has anyone taken it and lost weight and gotten off of their meds or lowered their meds, including discontinuing the Victoza and kept the weight off? Maybe it’s not been out long enough for this scenario. So sorry you are having difficulty. Not everyone responds well to all medications. I love Victoza. But others in its class I’ve had trouble with. So find the one that works for you with the least or both side effects. I know many these days like to rag pharmaceutical companies for researching and creating new medications. I do not because I know one size never fits all. OK- So I am having horrible stomach cramps and gas and sulphur burps like crazy!!! I am up to the highest dose after being on Victoza for 3 weeks. I was on Saxsenda before but couldnt handle the high dose and insurance didnt cover it! Ive lost 15 pounds since Christmas and at my lowest weight since 2009 which is great! I have found if I eat carbs or sweets is when I have the cramps cramps, burps and gas. I am not a diabetic and have no other health issue except my weight. Just wondering if anyone else was having the cramps and gas with carbs and sugars…..